St. Kitts has been under rule from several countries in its past including Columbus claiming it for Spain in 1493. It changed hands between the French and British many times and as a result, the island has a mix of architecture. The town square in downtown Basseterre is called the "Circus" and modeled after London's Piccadilly Circus. Many colonial style buildings offer visitors much to see. Highlights and Sightseeing excursions are very popular such as our St. Kitts Island Sightseeing and Beach Excursion and getting around is very easy. The government built a road that circles the entire island so guests may see much of the 18 miles long x 5-mile wide island. 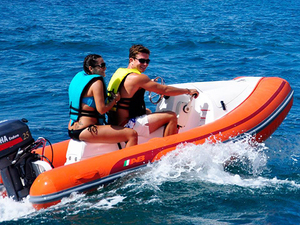 We offer the absolute best options for your tours and cruise shore excursions in St. Kitts! Round trip transportation from your St. Kitt's Basseterre cruise ship terminal! English speaking certified ATV guides! Fully insured automatic and semi-automatic ATV's! Driving instructions and safety helmet provided! Over 2 hours of pure ATV (all-terrain vehicle) driving! Option for children to ride double ATV with an adult! 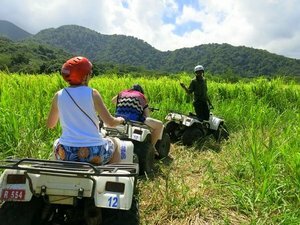 Enjoy the best ATV sightseeing shore excursion in St. Kitts, riding your All Terrain Vehicle and visiting the best sights. 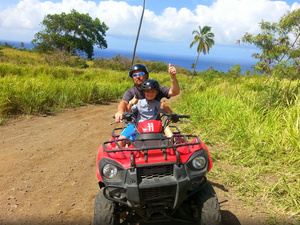 Fantastic ATV driving through the St. Kitts rainforest! Looking for adventure? 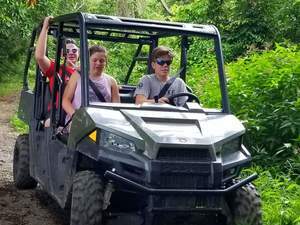 This is your opportunity to immerse yourself in the rainforest and explore St. Kitts on board your automatic buggy. Visit Wingfield Estate and Caribelle Batik. Enjoy some free time at the beautiful South Friars Bay to relax or swim at the beach. Round trip transportation from your St. Kitts cruise ship terminal! Photo stop at Timothy Hill! Facilities available at Cockleshell Beach - Spice Mill or Reggae Beach Bar! Welcome drink and 1 beach lounge chair per person! Enjoy a perfect Beach Day Excursion in paradise! 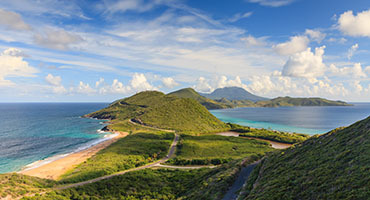 Come and join us on this unique Cockleshell Beach Excursion from your St. Kitts cruise terminal, with amenities provided by the beachside restaurants on St. Kitts island. On the way, you’ll even take a stop at Timothy Hill for some great photo opportunities! ATV riding instructions and security helmets provided! Your choice of either Frigate Bay Beach or Friars Bay Beach! 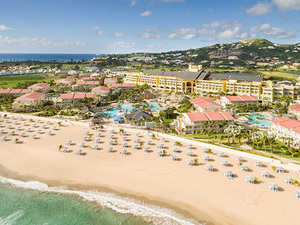 St. Kitts Island offers amazing rain forests and breathtaking beaches. Add a little adventure to your day on this ATV excursion. Stay at your leisure on a popular beach! Enjoy your day at the luxurious Marriott Resort with access to the resort facilities including the 3 pools, beach, casino and more. Roundtrip transportation from your St. Kitts cruise terminal is included! Complimentary bottled water and light snack! A fun hike in the Central Forest Reserve National Park, home of the Green Vervet Monkey and over 900 different rainforest plant species. Visit a waterfall and see some of the eco beauty followed by beach time on this St. Kitts Excursion! Boating adventure on a power catamaran! Guided snorkel stop at uncrowded St. Kitts bay! Professional captain and experienced crew! All snorkel equipment including mask, sterilized snorkel tube/mouthpiece, fins and floatation vest (if required)! Beach Break at Cockleshell Beach including beach chair! Sightseeing of the Southeast Peninsula onboard an Open Safari Vehicle! Bottled water and juice on the boat! An adventure awaits you! 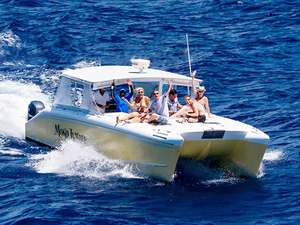 Enjoy your day in St. Kitts on board a power catamaran to snorkel the blue, crystal waters of the Atlantic Ocean. Beach break at Cockleshell Beach and scenic stop at the famous Timothy Hill where you can take some amazing pictures. 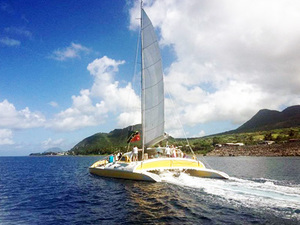 Round trip catamaran sailing adventure from a meeting point near your St. Kitts cruise pier! Guided snorkel stop at uncrowded St. Kitts coral reef! Professional sailing shore excursion captain and experienced crew! Sailing along St. Kitts coastline! Delicious light buffet lunch on board! Complimentary beverages including soft drinks, purified water, beer and rum punch! 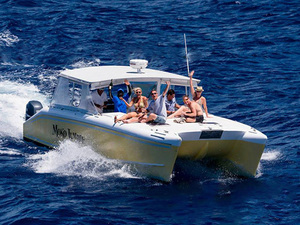 What a better way to spend your day in St. Kitts than sailing on board a fabulous catamaran. You will snorkel in the pristine waters and enjoy a delicious buffet lunch and drinks. Enjoy! Use of the facilities at famous St. Kitts Carambola Beach Club! 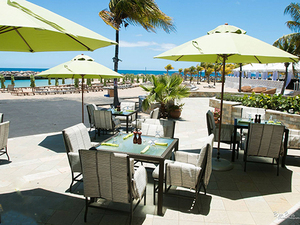 Spend a beach day excursion at one of the most beautiful beach clubs in St. Kitts. The Carambola Beach Club has amazing views of the mountains on the peninsula, powdery sand, and lovely swaying palms. 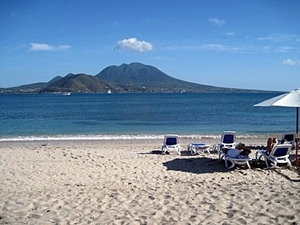 A great Beach Day Pass Excursion in St. Kitts! Complimentary snack and cold bottled water! 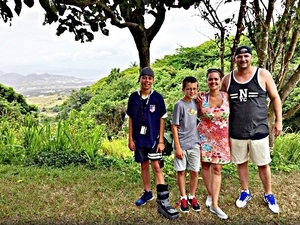 A/C or open-air safari-style excursion transportation to volcano hiking site! A panoramic sightseeing shore excursion around Basseterre downtown! 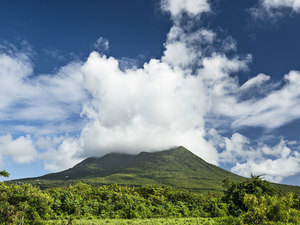 Discover the nature of St. Kitts, visit Mount Liamuiga Volcano! Enjoy an incredible Kitts volcano hike cruise excursion and conquer the summit of the highest peak in the Caribbean at nearly 4,000 feet! See famous Mount Liamuiga Volcano! Round trip transportation from your St. Kitts cruise terminal! Mini Speed Boat operating instructions! Option to ride solo or double up! Guided cruise along the Southeast Peninsula! Guided snorkel at a secluded cove! Seasonal fruit and juice snack! Enjoy a day filled with beauty and thrills. Drive a mini-speedboat to a wonderful snorkelling spot, explore the South Peninsula and get to know a gorgeous hidden beach! A great St. Kitts Excursion combo! Round trip transportation from outside your St. Kitts cruise ship terminal! Unique St. Kitts sightseeing cruise excursion opportunity! You will visit St. Kitts City, Bloody Point, Carving Of the Rocks, Old Plantation, Botanical Garden and Timothy Hill! One complimentary drink: bottled water, soft drink or beer! 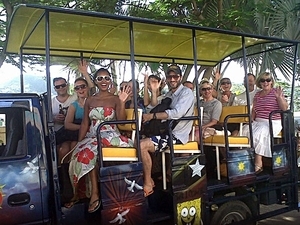 Ride an open air safari type bus for some great sightseeing of beautiful St. Kitts! 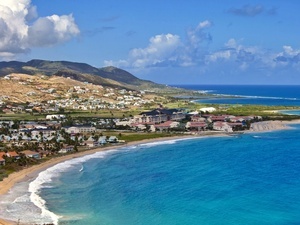 Panoramic sightseeing excursion of St. Kitts island highlights! Optional beach break at either South Friar’s Beach or Cockleshell Beach! Panoramic St. Kitts excursion with highlights, a visit to the UNESCO Heritage 18th Century Fortress and some prime beach time! The best of St. Kitts, Basseterre, on the same excursion! Round trip adventure on power catamaran! 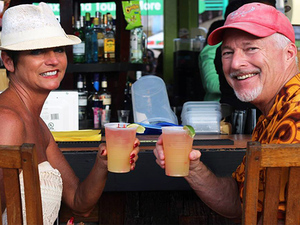 Meeting point just steps from your St. Kitts cruise tender pier! Stop at Hamilton Museum and St. Thomas Lowland Church! Visit a unique Colonial Plantation and stroll the grounds! Complimentary bottled water or juice in the morning transfer and beer or rum punch upon return! Delicious Caribbean lunch with 1 complimentary drink! Beach time at Pinney's Beach! Beach chair and shared umbrella included! Escape to Nevis and explore this tiny island gem. You will visit the Hamilton Museum, the Hot Springs and the famous Nisbet Plantation! Beach break and lunch is included! Bar Hopping and stops at the Cheers Bar, Tony's Bar, Lover's Bar, Carving Rocks, Old Sugar Plantation, Timothy Hill and Vibes Beach Bar! Rum Tasting at all the stops! Snacks - local bread and a bag of chips! Bar hop around the island! See the sights and sip some rum. Adults only for this combo experience, and with your very own driver, it's off to see St. Kitts and have a little extra flavor while doing it. Round trip transportation from your St. Kitt's Basseterre cruise terminal! Complimentary soft drinks and water! 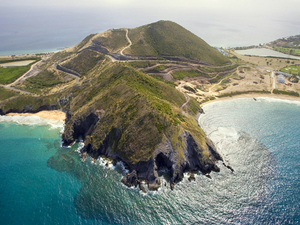 A complete highlight and sightseeing shore excursion of St. Kitts Island! This St. Kitts Sightseeing Excursion will take you to the main landmarks and attractions of St. Kitts. History, nature, culture and one of the island's most beautiful beach!